The Gran Tourer is BMW's seven-seat MPV, a more prestigious alternative to the likes of the Ford Grand C-Max and Peugeot 5008.  Interested in buying a BMW 2 Series Gran Tourer? At first glance, the Gran Tourer looks like, well, an MPV with a BMW grille on the front. Then again, there’s only so much scope the designers had to create a truly individual design, given how much space they needed to generate inside. Still, this is one of the smarter seven-seat MPVs, and all the smarter if you step up from the basic SE trim to Sport, Luxury and M Sport, all of which add a welcome bit of extra bling. This includes stuff like chrome exterior finishes, bigger alloy wheels, and fancier lights front and rear. It's also longer than the five-seat Active Tourer, with a lot of extra space between the wheels. From the driver’s seat, it’s all very BMW in the Gran Tourer; well built, easy to use and, in typical BMW fashion, with all the major controls angled slightly towards the driver. It’s true that it’s not as smart as the latest cabins from the likes of Audi and Mercedes, and the lower reaches aren’t as plush as the parts you see and use in everyday life, but we can’t think of many other MPVs with a smarter cabin. The driving position is fine and, as in most MPVs, it’s set a little higher than in a regular saloon, giving a commanding view of the road ahead. The pedals are offset to the right, though, so you do have to sit at a slight angle, especially in cars with a manual gearbox. What’s also less impressive is that the thick windscreen pillars (which spilt into two at the bottom) restrict your view a lot, making it awkward to pull out of T-junctions, for example. There’s certainly no shortage of space in the front two seats, and in the second row, too, there’s plenty of space for a couple of six-foot adults. However, the narrow centre seat means that it’s too tight to get three adults across comfortably, and although it’s not too hard for the young or reasonably agile to get into the third row of seats, they won't take adults for anything more than a brief trip. Having said that, other seven-seater cars like the Land Rover Discovery Sport have even less space right at the back. Still, it’s best to view the other seats as only for more occasional use. In truth, that’s an accusation you can level at similarly sized rivals like the Ford Grand C-Max, but similarly priced rivals like the Seat Alhambra are far better people-carriers, even if they do feel quite a lot bigger on the road. On the plus side, though, it’s easy to swap between all the various seating permutations (especially because you can lower the centre row using buttons in the boot) and, once all the seats are folded, they leave an almost flat floor. The boot itself is also excellent, and easy to load and unload, plus there are plenty of extra storage cubbies dotted all around the car. The Gran Tourer is most un-BMW-like in that it’s front-wheel drive (although some versions can be had with four-wheel drive). Although BMW purists might baulk at the very thought, it’s not like your average MPV really needs the rear-drive sharpness that BMW prides itself on. Besides, the Active Tourer is still a very good car to drive. It grips strongly and turns sharply, making it feel agile and alert in corners and eager and manoeuvrable around town. The ride on the standard suspension does have a slightly firm edge to it over some lumps and bumps, an effect that’s exacerbated by choosing larger wheels. While it shouldn’t be a problem for most people, those after ultimate family car comfort should probably consider adding the optional adaptive suspension, which has a better range of abilities. Comfort mode makes the car cushier in everyday use, and while it does lead to a little more body roll in the bends, you can simply switch to Sport mode when you want to sharpen things up. Our one criticism is with the overly heavy steering – even in Comfort mode – which is great for handling, but less useful when you're inching it into a parking space or trying to negotiate a tricky three-point turn, like most MPVs will spend their time doing. So far, we’ve driven the most powerful diesel version of the Gran Tourer, the 220d with its 190 horsepower 2.0-litre petrol engine. It feels muscular and responsive at all times, so it’s always ready, willing and able to pick up the pace when called upon. It’s not the smoothest or quietest engine of its type, but it’s nothing that’ll bother the majority of buyers. Bear in mind, too, that this engine is also available with four-wheel drive, and you’ll find that the extra it adds will put an appreciable dent in how responsive the car feels. It’s also a little confusing as to why you’d want four-wheel drive in a car like this anyway when you could give yourself a much wider choice by buying yourself a seven-seat SUV. There are two ways to look at the Gran Tourer, but either way, it’s expensive. On the one hand, it’s dearer than similarly sized rivals; and, on the other, bigger and more practical MPVs cost much the same. However, the BMW does come well equipped, while the good fuel economy and low CO2 emissions help take the sting out of the high prices. So will the car’s steady resale values, which will significantly reduce whole life costs for those who buy outright, and also reduce monthly payments for those who take the finance route. There’s not a great deal of reliability data available on the Gran Tourer. The model isn’t included in the Warranty Direct Reliability Index, although it should be noted that BMW sits well down the pecking order in the manufacturer rankings. The JD Power Vehicle Dependability study makes for even more concerning reading, as BMW finished stone-cold last in the manufacturer ratings in both 2017 and 2018. Our owner reviews paint a far more positive picture, though, with very few owners reporting any mechanical problems with their Gran Tourers. And the car’s three-year unlimited mileage warranty isn’t half bad, either. Euro NCAP is yet to crash test the Gran Tourer, but the Active Tourer – which is based on the same platform – earned a maximum five-star rating. However, those tests were on the pre-facelift version, and they took place way back in 2014. The testing standards have become much tougher since then. You get the expected collection of airbags and stability control. However, the roster doesn’t include automatic emergency braking – which can sense an impending impact and slam on the brakes if you don’t respond to warnings – so if you want it, you’ll have to pay extra for a pack that also includes lane departure warning and a high-beam assistant. It’s not expensive to add, but such systems are standard fare on many rivals these days. There are four trim levels, and even the most basic SE comes with sat-nav, DAB radio, dual-zone climate control, automatic lights and wipers, cruise control, rear parking sensors and a powered tailgate. That should be enough for most buyers. Stepping up to Sport brings a package of styling upgrades, smarter cloth upholstery and sports seats, while Luxury adds extra chrome trim outside and leather upholstery. Range-topping M Sport models have their own bespoke look, and among the worthwhile options are the adaptive suspension a panoramic glass sunroof and the upgraded Professional Navigation system. We would advise avoiding the M Sport models though as the 18-inch wheels do little for ride comfort, and you're paying an awful lot for what boils down to some badges, trims, and a subtle bodykit, this is a family people carrier after all, not a sports car. 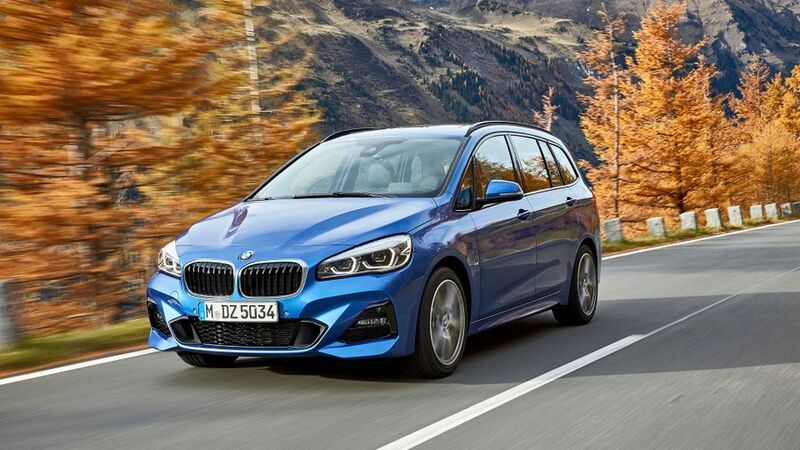 There aren’t many options for those who are after a seven-seat MPV with a premium badge, and if that’s you, the 2 Series Active Tourer will fit the bill perfectly. It’s desirable for an MPV, and it’s practical, high in quality and good to drive. Some would argue, the perfect BMW take on the MPV. What are WLTP and RDE? What does 2040 ban on petrol and diesel cars mean? Should I buy a new, nearly new or used car? How can I decide which is the right car for me? Which car fuel will work best for your next new car? How can I be sure I’m getting the right price for my part-exchange? How can I be sure I’m paying the right price for a used car?